In April of 2019, Elizabeth Attanasio will join a team of committee members of the NYSSCPA’s Stock Brokerage Committee in meeting with the PCAOB, FINRA and the SEC to discuss hot topics resulting from the 2018 audit year end. The purpose of this meeting will be to educate the PCAOB on challenges the FinOps and auditors face and the impact this has on the FINRA member firms, from both a cost and time perspective. We would welcome your feedback on any topics you would like us to raise on your behalf. In May of 2019, Jay Gettenberg will be a speaker at the NYSSCPA’s Annual Broker Dealer Conference at Baruch College, where hot topics related to financial operations and auditing of small broker dealers will be discussed in a full day session. There will be a variety of presenters, including attorneys, FinOps, compliance professionals and regulators, to discuss current regulatory and collectively work to both educate and improve the industry as a collective. From May 15 to May 17 2019, both Jay Gettenberg and Elizabeth Attanasio will be attending the FINRA annual conference in Washington D.C. ACI attends this event every year to remain current on regulatory matters and to help all existing and future clients comply with relevant rules and regulations and implement best practices. We hope you will have the opportunity to join us at these events. As always, we pride ourselves on being actively involved for each of you and intend to represent and defend the small broker dealer community to the best of our ability. Both the Principal Financial Officer and Principal Operations Officer must qualify and register as an Operations Professional (Series 99) and must hold the Financial and Operations Principal (FINOP) Series 27/28 exam, as applicable. Introducing firms, who operate in a non-clearing capacity, will be permitted to allow one person to hold both the PFO and POO designations, due to the reduced likelihood of operational issues associated with the activities of these firms. Clearing or self-clearing firms, who take possession of customer funds and are responsible for the safeguarding of customer cash and securities, will be required to appoint two distinctly separate individuals to these two positions, each requiring the respective Series 99 and Series 27 licenses. Although this rule may appear on the surface to only be a cosmetic change, particularly for non-clearing broker dealers, it will be interesting to see how FINRA reviews the change of these roles in upcoming cycle examinations. FinOps need to be mindful of the added responsibilities of these roles and should be evaluating the impact to their respective firms with their Chief Compliance Officers. Firms may also need to update their Written Supervisory Procedures (WSPs) accordingly. ACI’s Managing Partner, Jay Gettenberg, was in Washington D.C. this week for the 2018 FINRA Annual Conference. His recent involvement in the FINRA District 10 Committee, which commenced on January 1, 2018, offered Mr. Gettenberg the opportunity to assist Paige Pierce, chair of the FINRA Small Firm Advisory Board, and Robert Hackel, Chief Operating Officer of R.F. Lafferty & Co., Inc., in an effort to reduce regulation and potentially clear the path for the removal of the PCAOB’s oversight of certain qualifying broker dealer audits. 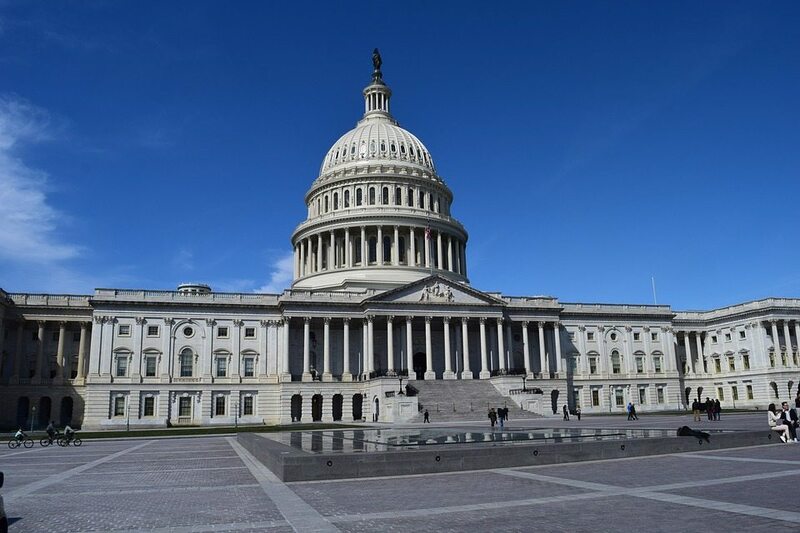 On Wednesday, May 23, 2018, Ms. Pierce, Mr. Hackel and Mr. Gettenberg were able to secure a meeting at Congress to push forward this agenda. Over the past few years, the broker dealer community has seen a significant increase in audit costs, which primarily correlates with enhanced peer review requirements, auditor fear of PCAOB inspection and sanctions, and the overall reduction in PCAOB certified audit firms, who were unable to keep current with evolving and increasingly complex standards. Efforts made over the past few months by a small group of industry experts has resulted in the SEC and PCAOB verbally committing to remaining neutral on any proposal submitted for ratification. While they are not supporting the passing of legislation that would mitigate the requirement, they are also not opposing it, leaving the decision to the House of Representatives and the Senate to decide the fate of the bill. At this time, the Senate has obtained both a Republican and Democratic co-sponsor and the House has obtained a Republican sponsor. The recent efforts of Ms. Paige, Mr. Hackel, Mr. Gettenberg, and a few other leading industry professionals, has propelled the likelihood of obtaining a Democratic co-sponsor in the House, which would allow the bill to be eligible for vote, potentially leading to approval and implementation over the upcoming months. It is currently estimated that the removal of PCAOB inspection over small broker dealer audits would result in over $60 million in annual savings for the approximately 3,000 member-firms that would qualify. The goal is to provide imminent relief to the small broker dealer community, which has significantly decreased in size over the past half-decade.